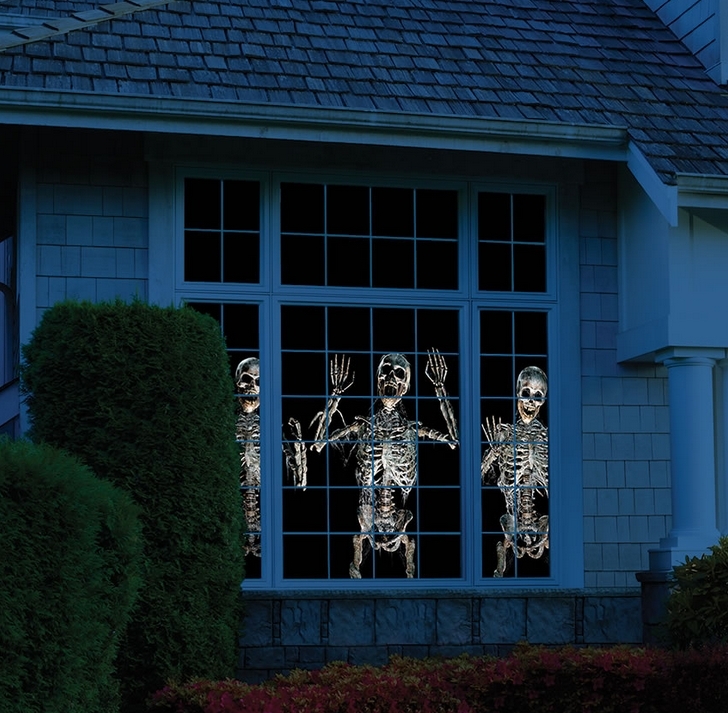 The animator projects three-dimensional skeletons, jack-o-lanterns, and ghosts on the inside of a window so convincingly that even jaded trick-or-treaters may believe your home has been overrun by the paranormal. The 30 minutes of video includes Halloween scenes such as giggling jack-o-lanterns bouncing crazily across the screen, skeletons dancing and singing among tombstones, and a spooky apparition on the haunt. Unlike lesser projectors with amateurish graphics and audio, the HD footage is enhanced with a movie studio-grade soundtrack and hair-raising special effects, making one’s home a must-see stop on the neighborhood holiday decoration circuit. The short-throw projector displays up to a 6′ image onto a window or wall and adjusts the scene to fit most window dimensions.